What a Beautiful e-Bike - Opus Porto with BionX P350RL! A convenient rear-rack system with great power, excellent range, and terrific value. A useful and practical addition to any bicycle. 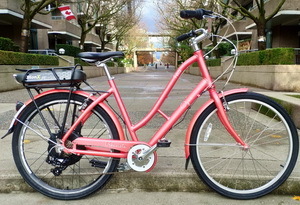 Urbanista with plush, comfy 26" wheels ready to carry you and your load everywhere. You cannot go wrong here!